While a locksmith does have the tools and knowledge to handle that situation, it is far from the only thing they can do to help you out. Do you need a key cut? A locksmith can handle that. If you want to rekey your home after moving in, they can also do that for you. Almost anything that involves locks or keys is something that your local locksmith can help with. We’ll share more about what to expect later. There are numerous types of locksmiths. Some of them dabble in all sorts of locks, while others are more specialized. There are locksmiths who specialize in residential locks and keys, those who provide services mostly for commercial businesses, and others who are mostly involved in helping people with the locks and keys for people’s cars, trucks, and SUVs. All locksmiths have many skills in common, but those who specialize are more knowledgeable and skilled with the one they focus their business on. It doesn’t matter what sort of key you need cut, the nearest locksmith is likely to be able to cut it for you. This includes the need for garage keys, padlock keys, cabinet keys, back door keys, and more. Most locksmiths are able to machine cut many keys but are also skilled at hand cutting when the need arises. While not every restricted or security key may be appropriate for cutting, your locksmith is capable of doing so when it is. This might seem like a small task, but everyone needs it on occasion and your locksmith will do accurate, quick work for you. Depending on the automotive locksmith “near me” that you find with a quick Google search, they often specialize in keys and locks for cars, trucks, and SUVs. Cutting keys for a vehicle is only part of their wheelhouse, although it is a major part of it. In addition to that, someone who specializes in this sort of work will be adept at repairing vehicle keys and locks. 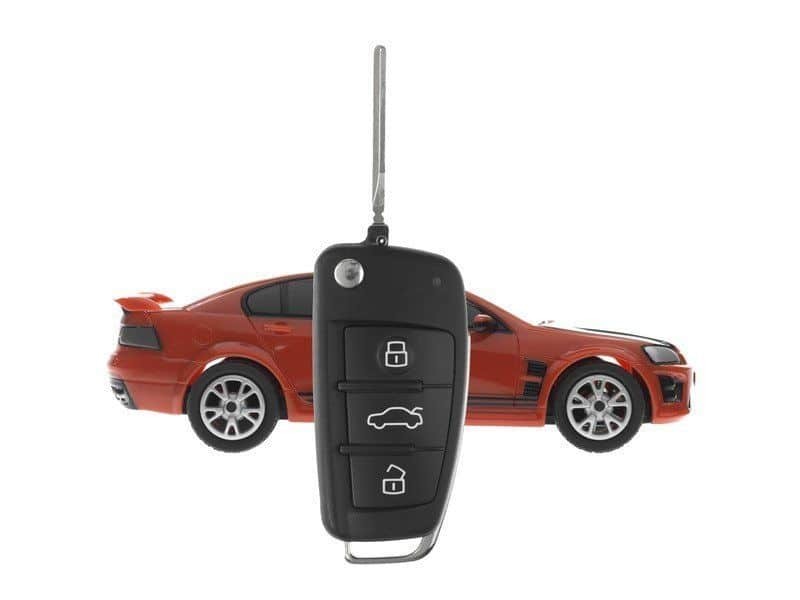 A locksmith will also be capable of programming your car remote key, so it works with your vehicle. Replacing your keys when you have lost them is another key part of their services. If you’re moving into a new home and want to change the locks or upgrade the security system, a locksmith is the service provider you need. You may even choose to upgrade or change the locks for a home you already own if you’re concerned about who has access to keys to the home or if locks are not working as they should be. This is often a needed service after a break-in or other criminal event in order to keep the home secure and safe. The locksmith will talk to you about your needs, help you understand your options, and then get the right locks ordered and installed. This is a typical task for a professional locksmith. Many of the advertisements for an “automotive locksmith near me” will not explain that locksmiths can provide many security solutions and locks for your needs. If the locksmith deals only in vehicles, they will have everything you could need for your car. If they also provide traditional locksmith services, many professional locksmiths will sell safes, locks, security storage, and security hardware for your home and business as well. If you are moving into a new home, talking to a locksmith about how to best secure the house can be a great idea. You can be sure the most valuable items you own are largely inaccessible to others who may gain entry into your home. You can also expect that getting in will be difficult when you have a high-quality lock. Nearly everyone on the planet has had a moment where they forget their keys in the house or in their vehicle but only realize it after locking it up. This is the point where many people start to panic. You might be tempted to grab your phone and pick the first locksmith you see listed on your favorite search engine. We recommend that you instead do some research long before you have a need for this type of service. You’ll be in a better mental state and you can take note of the locksmith you want to use and keep their contact information available for later use. While not every locksmith has 24-hour service, many of them do. People need access to their vehicles, homes, and businesses at all times of the day or night. If you find yourself unable to do so, it can be a frightening and upsetting situation. If you choose a professional locksmith who doesn’t offer around the clock services, you may need to have another locksmith lined up for those times when you need help past traditional business hours. Not every locksmith will have the ability to supply access control systems, but many will. This is a need for many residential and commercial properties. The electronic access control will ensure that only those individuals who are provided explicit access are allowed to come onto the property or into the home or business. If this is something you need from the “automotive locksmith near me,” make sure to ask about whether they offer this service. Many locksmiths do, but it pays to ask questions before assuming. If you are in a situation where you do not have access to your car because you’ve lost your keys or locked them inside, a locksmith can open your vehicle for you. There are a number of different tools that may be used, depending on your vehicle and the specific situation you are in. We’ll look at what the many options are below. Almost all modern vehicles nowadays have a keyless entry system. However, before you can use the key fob to unlock your vehicle, the key fob must be programmed initially. This is one of the skills that a professional locksmith will have in their arsenal. Assuming you have chosen a skilled locksmith for the task, they are going to be capable of unlocking the car and reprogramming the lock without doing any damage to your car or truck. There are some vehicles that are equipped with what is called an immobilizer, which provides deterrence to would-be thieves and burglars. Basically, the immobilizer keeps your car from starting up if a thief is attempting to take off in it. The problem is that in some situations the immobilizer stops working correctly. When that happens, you may not be able to start the car even if you are using the proper key. Any great automobile locksmiths can fix this issue and get your car going again without future problems. If you put your key into the car lock but it breaks off in the lock, you’re in a sticky situation. However, a locksmith has the specialized tools needed to help you out. The locksmith is likely to use something called a broken key extractor which will help remove the key parts or broken key out of the lock. At that point, they can also duplicate the key, so you are able to properly unlock your door. There is another tool that locksmiths have access to what is called a door handle clip removal tool which is used to remove the retainer clip, which is what locks the door handle onto your vehicle. When you have a modern vehicle with a keyless entry feature, additional tools are needed to get into your car. If you lose your key fob in the car or it gets stolen and you cannot get inside, a professional locksmith will use a passcode decoder or key analyzer to determine what the electrical resistance values are for your specific vehicle. After finding out that information, a tool called a mechanical key cutter will be used to precisely make a new key even if the original is lost or otherwise disposed of. Pretty much every locksmith is going to have access to a slim jim and uses it on a regular basis. This tool is a convenient option when your car will not unlock. The slim jim is placed between the glass window and the weather stripping and pressed down to unlock the door without needing the actual key. That said, while a slim jim is inexpensive and watching a locksmith do it makes it seem easy, it is not. You can easily damage the electrical system or airbags of your car if you are not knowledgeable about how to do the process properly. Let your trained and experienced locksmith handle this task for you to avoid further issues. J and L tools are typically used for older vehicles that have lock and unlock buttons which are close to the door’s inner panel. A J tool can reach the inside through the top of your window. At that point, your locksmith will manipulate the tool to lift the unlock button and open things up for you. The L tool is a fairly similar tool, but it has a unique shape that is designed to be used on specific designs and car types. Using these six different tools and techniques allows the “automotive locksmith near me” to get into your car and get you wherever you are in the process of going. Keep in mind that some of these techniques take more time and may cost more than others. However, the chances are good that if you need your vehicle door opened, a professional locksmith will be able to provide that. When it comes time to look for a new locksmith, there are a few things that you should factor into the equation. First of all, it’s best to choose a local option. Sometimes those who operate nationwide do not have the skills needed to provide the best work. If you do choose a larger company that operates in a massive area, be sure to ask questions about the locksmith’s experience, training, and pricing for services. Before you pick that “automotive locksmith near me,” be sure to do some homework by looking over reviews. There are many places to view reviews for locksmiths and other service professionals online. You can also reach out to friends, family members, and coworkers to determine who other people use. This is a fantastic way to choose a great local locksmith. You can ask questions and get insight into what to expect from the professional before you ever give them a call. No matter where you hear about a locksmith, make sure to check on their credentials. It’s a fantastic sign if the locksmith takes part in continuing education to be sure they are offering the most modern services and techniques. The Society of Professional Locksmiths and ALOA Security Professionals Association are also two great places to get more information about skilled professionals located near you. Those who are members of the former have specific requirements and are subject to background checks. They will also have access to an identification card which incorporates a QR code, so you can easily check whether the membership is still instated. There are tons of reasons to contact a locksmith in your area. An automotive locksmith can take care of all sorts of problems that originate with your door lock or keys. Make sure you have the contact information for a locksmith for the first moment that need it. You never know when it will come in handy.